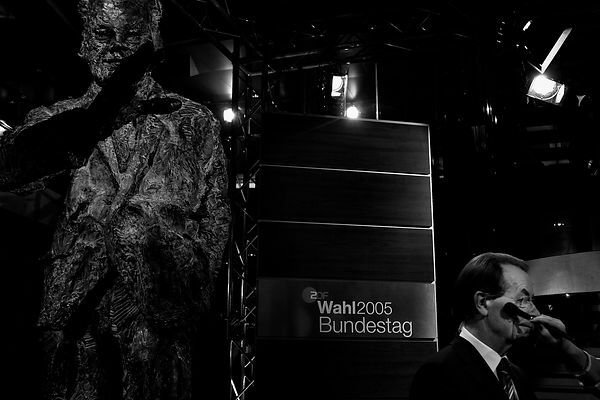 Bundestagswahlkampf 2005, SPD Wahlparty, Gerhard Schroeder nach Bekanntgabe der Wahlergebnisse im Willy-Brandt-Haus am 18.09.2005, Europa, Deutschland, Berlin. 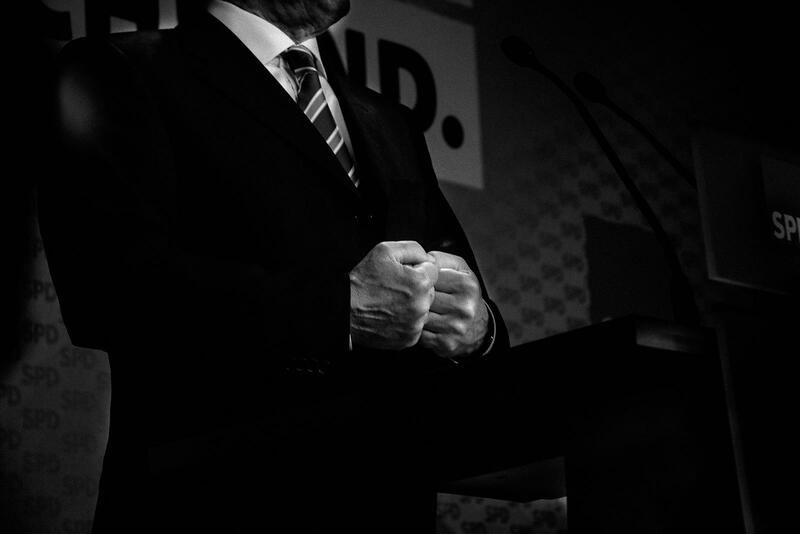 | Power and Ritual - Rituals of Election Campaigns. 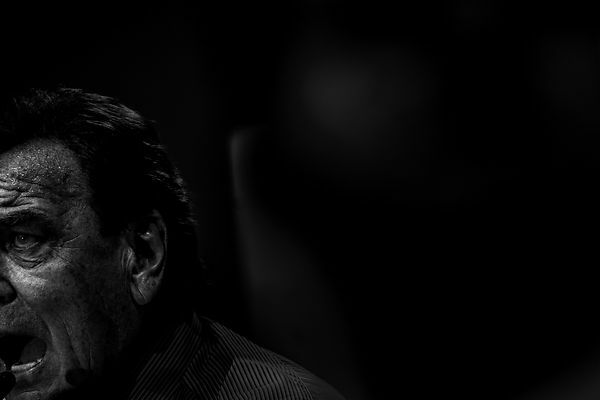 Chancellor Gerhard Schroeder (1998-2005, SPD) during the press conference about the provisional election results did not believe that he lost the elections. Berlin, Germany, Sept. 18, 2005. He lost the election against Angela Merkel.